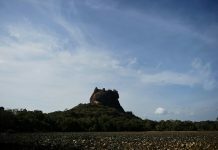 Sri Lankan authorities Thursday launched an investigation into the country’s newest prison after a video leaked on social media showed guards kicking, punching and assaulting inmates with batons. The Justice Minister Thalatha Athukorale said she was shocked by the footage released on Wednesday and an independent investigation was launched into activities at the Angunakolapalessa prison. “I condemn this horrible attack on inmates and I will not hesitate to take disciplinary action against those responsible,” Athukorale told reporters in Colombo. In the video clips dozens of inmates can be seen ordered out their cells, forced to kneel down in an open court yard and then beaten with batons by a large group of guards. She said a ministry-level investigation would be carried out in addition to an internal prisons department inquiry against guards identified as having taken part in the mass assault. She said preliminary investigations showed the incident took place in November following a standoff between guards and inmates, but information on it only came out after the video clips were leaked on Wednesday. The videos appeared to be footage from the prison’s own CCTV network. It was not clear who had leaked it. The Angunakolapalessa jail was launched in October 2017 as a model correctional facility. It can accommodate 2,000 inmates and is not overcrowded as all the other prisons in the country. 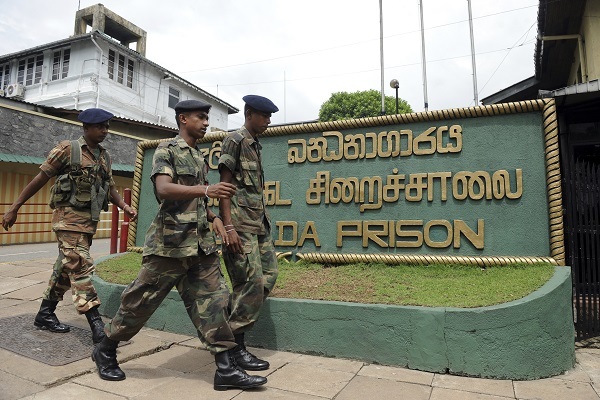 The latest prison attack was the worst since the 2012 killing of 27 convicts at SriLanka’s main prison by police who were called in to restore order after rioting. An initial inquiry into the 2012 incident showed that inmates were lined up and shot execution style. Investigators are not going to stop at this. Investigations are ongoing and several people have been arrested.